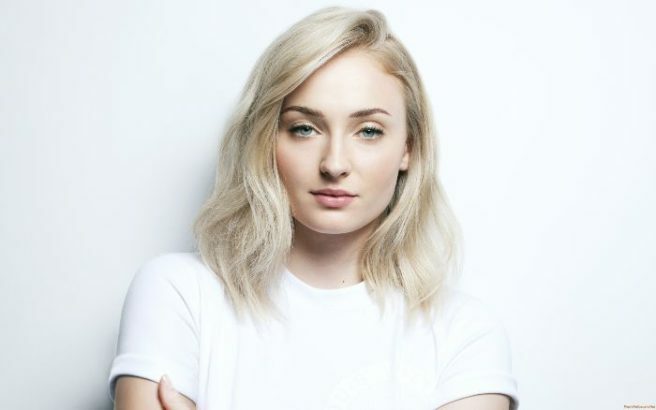 HomeTagsPosts tagged with "sophie turner"
Piers Morgan and Coronation Street star Beverley Callard have commented on the ‘trend’ of celebrities opening up about their mental health issues, claiming that they’re trying to make mental health disorders ‘fashionable’. The ludicrous and disheartening beliefs of both the Good Morning Britain host and the soap star have unsurprisingly ruffled a few feathers. More and more people are suffering from disorders like anxiety, bipolar and depression these days and the last thing we should be doing is dismissing the conversation. 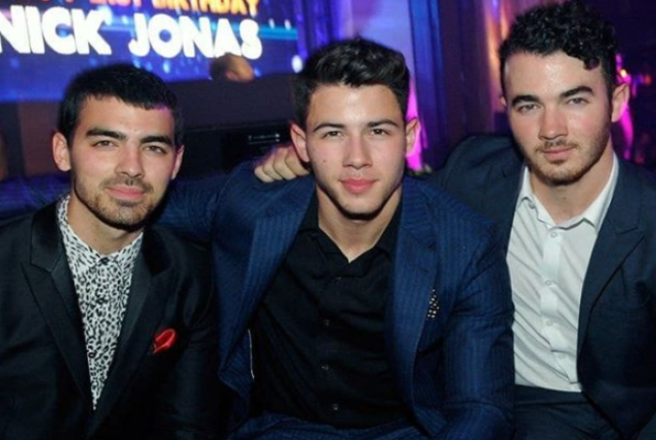 We idolise celebrities. We put them on pedestals and are more than likely going to believe what they say as opposed to your regular joe. 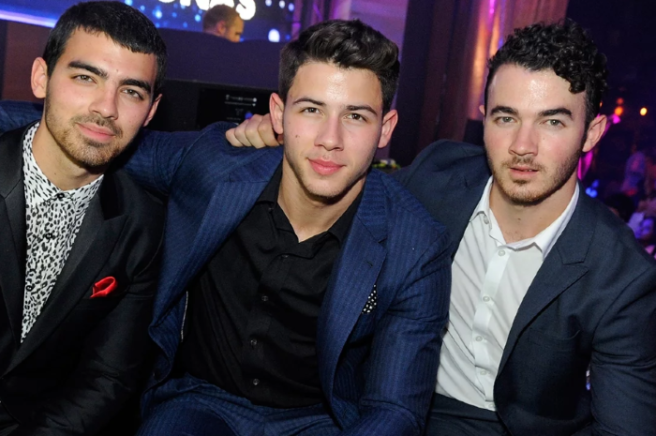 Using their platforms to raise awareness about disorders that plague many of us is far from harmful. 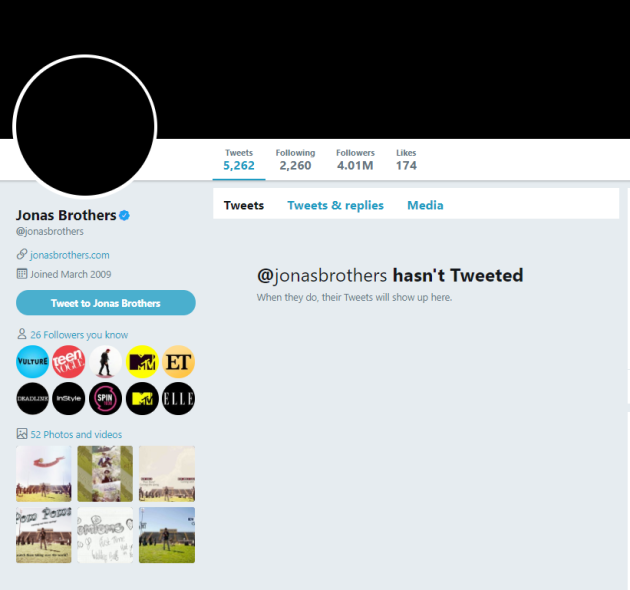 It’s quite possibly one of the beneficial things they can do online instead of boasting about their luxurious lifestyles and shockingly expensive holidays. 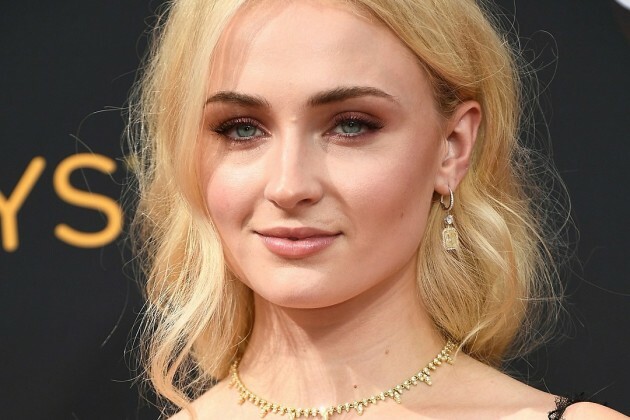 Game of Thrones star Sophie Turner is one of many celebrities who has been an advocate for mental health in recent years, so there’s no doubt Piers’ claims angered the 22-year-old actress. Sophie took to Twitter to express her disgust and disappointment in a series of moving tweets. She wrote: “People who think it’s okay to make jokes about mental illness, I feel you must be lucky, because surely you don’t understand or can’t comprehend what it is like to have or know someone with an illness like this. “Depression is the second biggest killer in affluent Europe and America. One of the greatest reasons being, I believe, is because mental illness has so much stigma surrounding it,” Sophie stated. People are so afraid to discuss their mental health issues because of that overwhelming and unnecessary stigma. They fear being judged, laughed at and worst of all, not being taken seriously if they do discuss their problems. Sophie continued: “If we can just all speak out about our experiences or our loved ones experiences we can help other people who suffer with mental illness not feel so alone. Let’s keep this dialogue going. “You are not alone, you can manage your illness, and people who make fun of it are the minority… not you. You are loved and supported,” she concluded. 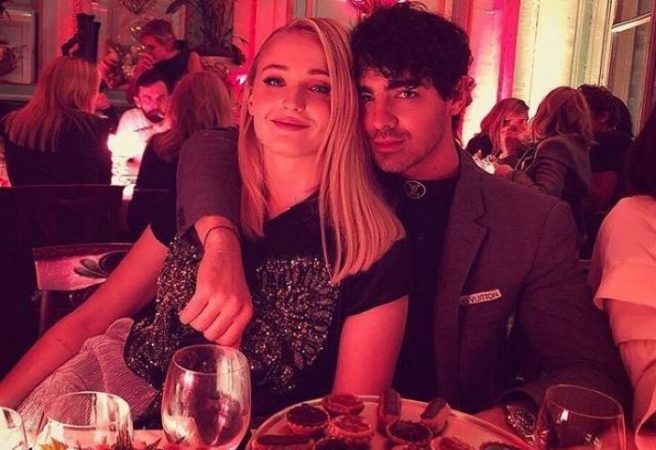 Joe Jonas and Sophie Turner have been dating since 2016, and clearly the couple are up for a bit of craic. 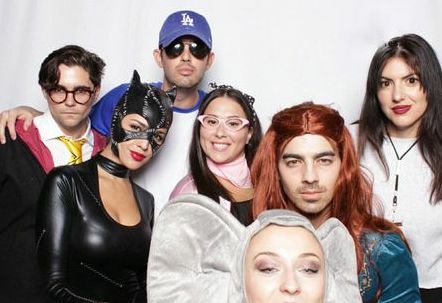 Joe took to Twitter to post some pictures from a Halloween part he attended over the weekend, and fans couldn't halp but notice his costume. 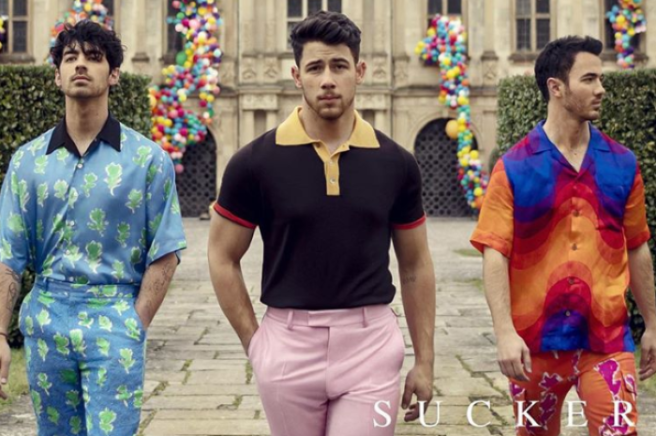 The former Jonas Brother singer chose to dress up as his fiancee Sophie's famous character from cult show Game of Thrones. 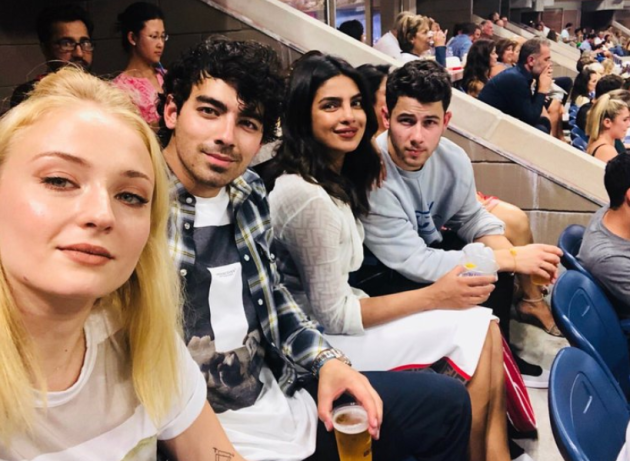 Donning a red wig, Joe emulated the Sansa Stark vibe perfectly. 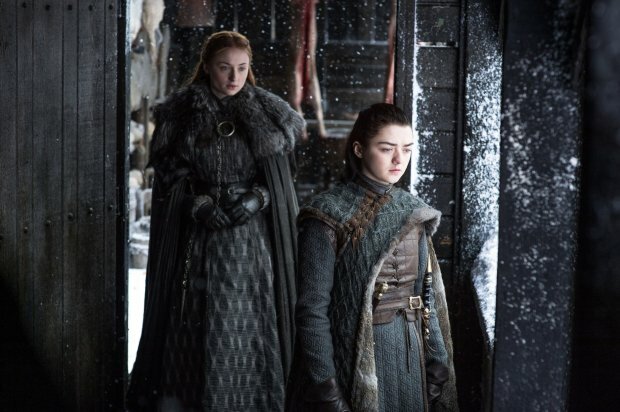 He even had a crushed velvet, blue gown very similar to one Sansa wears in the show – perhaps Sophie borrowed it from the GoT costume department? For the party, hosted by pal Kate Hudson, sophie opted for a punnier costume, going as the elephant in the room. The actress wore a full elephant onesie, complete with flapping ears, for the spooky celebrations. 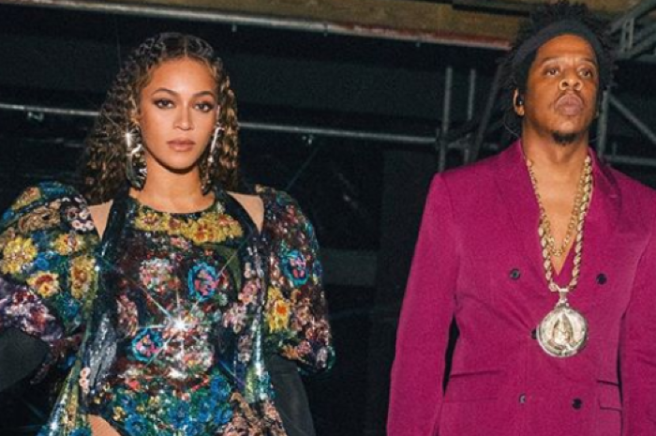 Celebrities are absolutely winning Halloween this year. 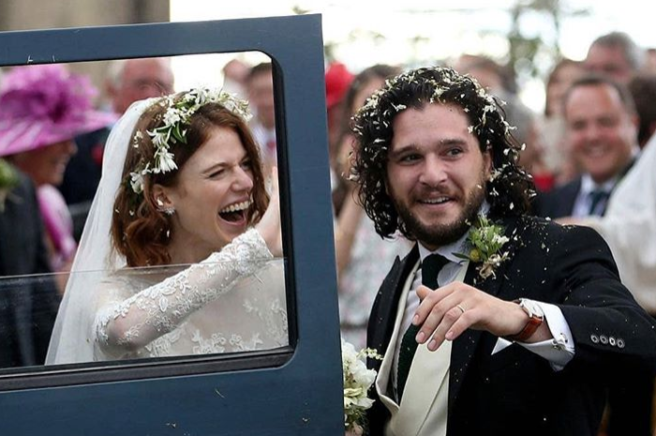 Kit Harington and Rose Leslie are officially husband and wife. 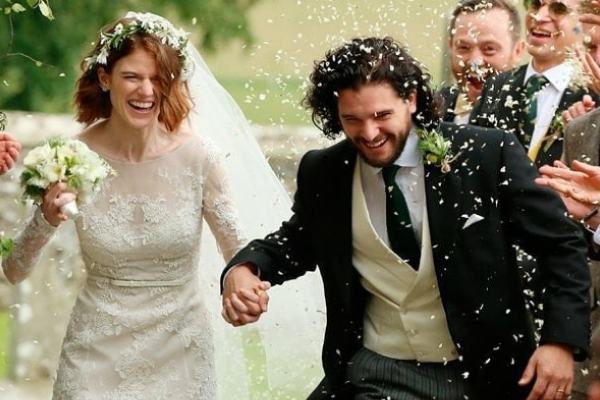 The Game of Thrones stars tied the knot in a stunning wedding in Scotland yesterday. 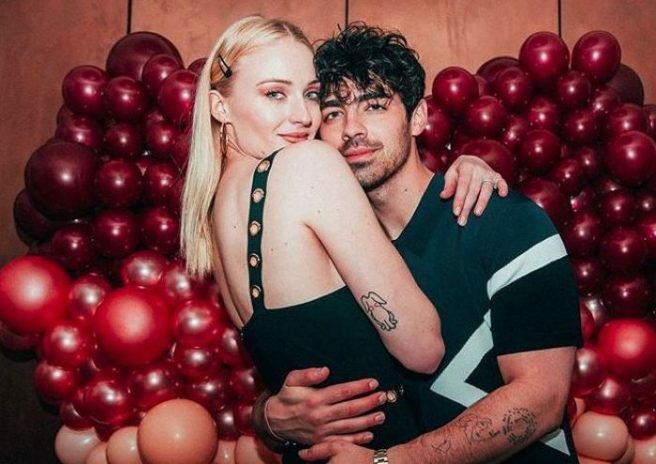 Their nearest and dearest joined them to celebrate their nuptials, including their co-stars Emilia Clarke, Sophie Turner, Richard Madden, Peter Dinklage and Maisie Williams. Liam Cunningham, Marcus Mumford, and Joe Dempsie also attended the celebration. The lovebirds got married at the beautiful Rayne Church and continued their celebrations at the 12th century Wardhill Castle, which is believed to be owned by Rose’s father. He also shared that the couple used local caterers, local flowers and local lighting for the wedding. The duo waved at onlookers as they both left the church. Family and friends showered them with confetti as they made their way through the church grounds. Rose dazzled in a full-length lace dress and topped off her look with a veil and delicate floral headpiece. The groom donned a black tailcoat, a cream waistcoat, and grey trousers. Kit and Rose announced their engagement in the Forthcoming Marriages section of The Times newspaper last September. They first met on the set of popular series Game of Thrones. 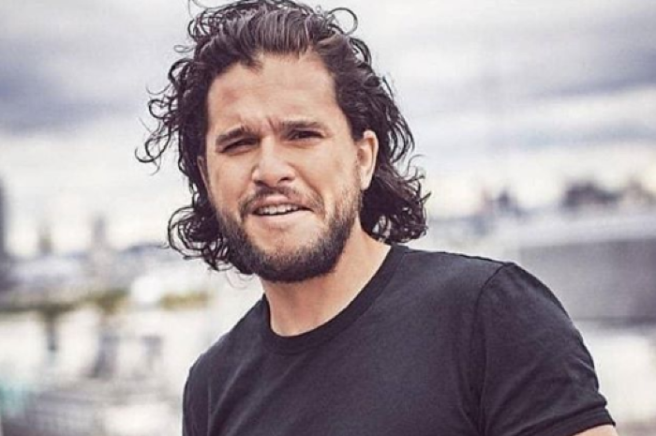 Huge congratulations to Kit and Rose! Maise William's has confirmed that she has been asked to take a spot in Sophie Turner's bridal party. 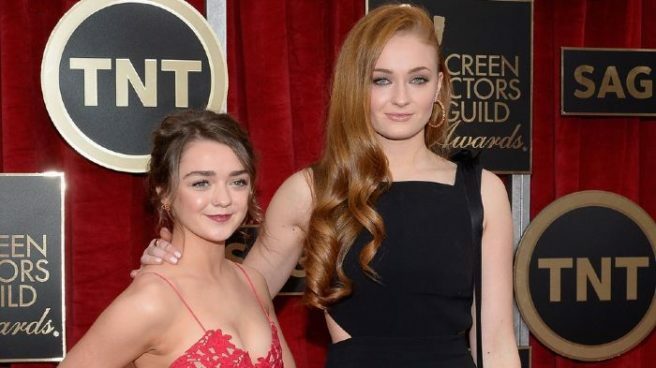 The Game of Thrones stars formed a strong friendship after being cast as on-screen sisters, Arya and Sansa Stark, on the hit HBO show back in 2011. 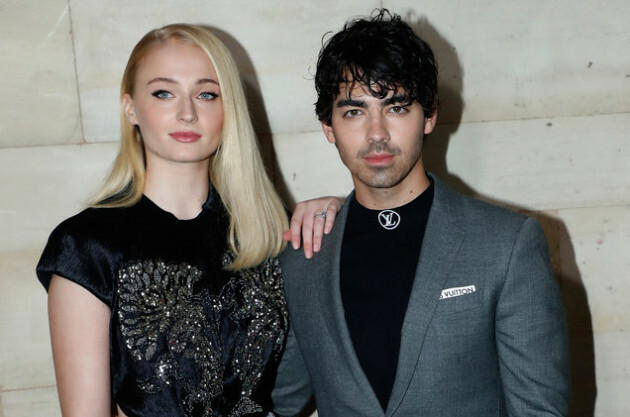 Sophie, 21, is engaged to marry musician and former Disney star, Joe Jonas, 29, and while the pair haven't started to plan the big day, Masie has revealed one detail that has been set in stone. 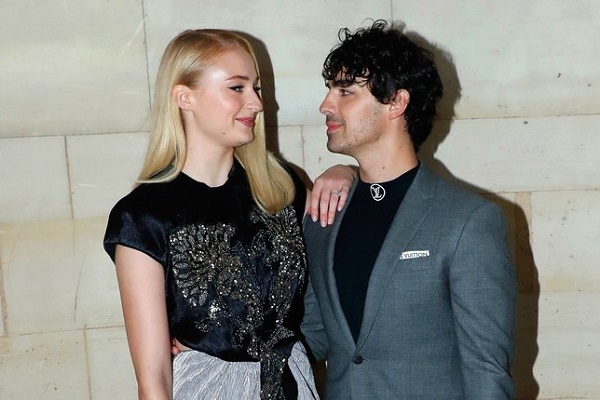 It's thought that the couple have put the wedding plans on hold, as Sophie is keen to wrap up the final series of Game of Thrones before the she sets a date. Meanwhile, the actress recently opened up about the wrapping up the show that shot her to fame. Masie may not know which direction her career is headed in, but one thing's for sure, this isn't the last we've seen of the Stark sisters.